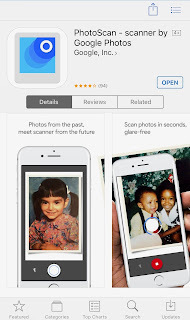 Google PhotoScan - Best scanner thus far for digitizing your old photos. 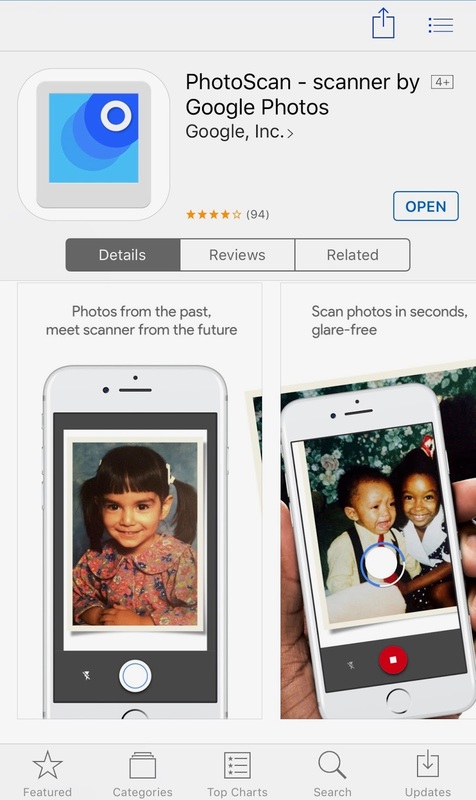 Today Google released a new app for Android and iOS that simplifies, and improves, the digitizing of your old, printed photos. I had a chance to quickly try this on a few old pictures that I had lying around, and, while it takes a little getting used to, this is a significant improvement in all of the major apps I’ve tried before. In fact, I had a serious project that I had to abandon because none of the apps I had previously tried even came close to giving me the results I was looking for. Now, Google PhotoScan does exactly what I’ve needed all along. It’s fast, accurate, and even performs an auto crop and auto-fix at the same time. And best of all, the result is automatically uploaded to Google Photos. Another quality app from the folks at Google. And best of all, it’s free! Here are the links to get it for Android, and iOS. I’ve been shooting infrared now for several years. I’ve had the opportunity to shoot various cameras converted into infrared over that time, and have come away with varying degrees of success, both due to my increasing (I would hope) skills and also due to the gear I’ve used. Your lens choices will be mostly influenced by your creative style rather than anythings else, notwithstanding image quality of course. For me, it will be towards the wider angle lenses. Those of you who are familiar with the micro four thirds format will know that the Panasonic Leica (also known as PanaLeica) 15mm f/1.7 wide angle prime lens, is one of the most highly regarded lenses in the Lumix lineup, and with good reason. Very sharp across the frame. Although it’s not absolutely necessary, I highly recommend it, as it allows better visibility when shooting in bright daylight (one of my favorite conditions to shoot IR in). While not a cheap accessory, and admittedly a controversial one in terms of actual need, I consider it essential. If you are at all serious about infrared, you’ll know that capturing with the correct white balance is extremely important (assuming you’re shooting in IR bands other than 820nm (B/W). Yes, there are alternatives, such as adjusting white balance in post, however I’ve found that my best results have been when I measure and set a manual white balance. Lastly, I have on my camera a Really Right Stuff “L” Plate;. Pretty steep at $120, but I was fortunate to buy this one used from a friend. If your lucky, you can also find a used one for SIGNIFICANTLY less. As much as in any other type of photography, success will depend more on the photographer’s skills than on the gear used. Infrared does not change this. In fact, it exacerbates it. You must still know the craft, still know and recognize the relevant techniques, and still pay your dues with lots of skunked trips and significant head scratching when you review your images, only to find many are soft, downright out of focus, or just so damn poor that it hurts you just to look at them. But by far, the gear you use for infrared will invariably make a significant difference in your success. And I must say that this little set-up has definitely helped in increasing my success rate when I go out for some IR work. We’ve all been faced with it. All of a sudden, we get presented with this awesome deal on some older generation photo gear, but we hesitate, saying to yourself - “But, it’s not the latest…..”. Never mind the fact that your current camera doesn’t have the features it offers, or that you don’t own a lens that has that specific focal length or aperture range. All you can think of is - It’s not the latest. Or, worse yet, “it’s still one, or gasp! two generations behind what that guy in the photo club has".